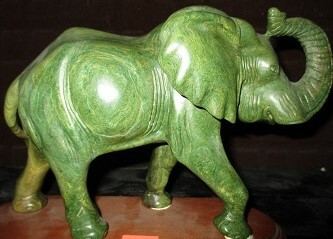 This stunning piece of artwork was bought in Russia and is a replica that represents the concept of the beautiful work done by Carl Faberge so many years ago. 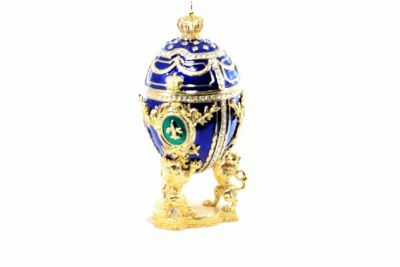 This is your chance to start your very own tradition of collecting replica Faberge Eggs. 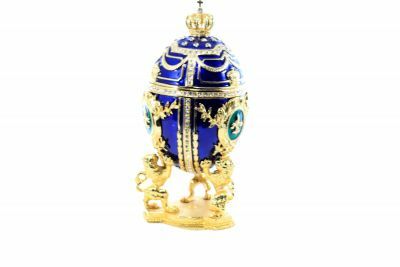 The Faberge Egg is also known as the known as Imperial Easter Egg and was created because of a special order from Russian Emperor Alexander III in 1885. 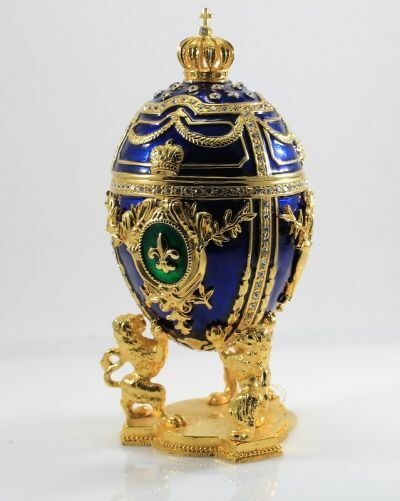 The Imperator wanted to give a unique and special present to his wife, Maria Feodorovna for Easter and the jeweler Carl Faberge was commissioned to created the very first egg, which also contained a secret: the imperial crown and a ruby pendant, inside of a gold hen. 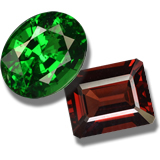 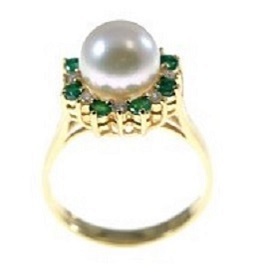 Maria Feodorovna was very delighted by the gift with the hidden jeweled surprises. This gift was the starting point for the annual imperial tradition that continued for 32 years until 1917: every year Alexander presented a new Faberge Egg with a unique design to his wife. 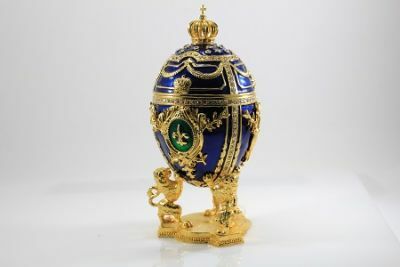 His son, Emperor Nikolai II, continued this tradition and annually presented one egg to his mother, Maria Feodorovna, and one to his wife, Empress Alexandra Feodorovna.